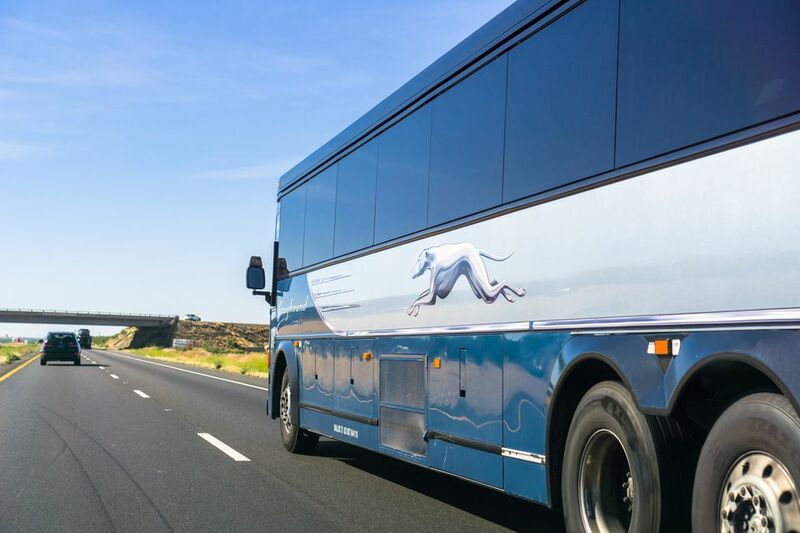 Greyhound buses are one of the most affordable ways of traveling within the United States. Stretching across most major (and many minor) cities you'd be likely to want to visit, getting from A to B as a student simply involves using your Student Advantage Card to pick up a ticket, packing your bags with treats for the journey, then stepping on board. As a student, you're entitled to 20% off any ticket (and 40% off shipping if you need to send a package), which makes traveling overland even cheaper. It's simple: to gain access to the 20% discount, get a Student Advantage Card; the card's discounts extend beyond Greyhound discounts to tons of other places, like Eurail, Amtrak, HostelWorld, Timberland, and more. If you're going traveling, this card is especially valuable for students! You don't even need to buy the card online; you can get your hands on one at any Greyhound bus station. Once you have your card in hand, applying the discount to your order is easy. You can either do so at a Greyhound ticket office when you buy your tickets, or you can enter the promotional code GRY48L9002 online when you're checking out. Maybe you're not a student or don't want to buy a Student Advantage Card. Or maybe your friend isn't a student and they'll be taking the same trip with you. If so, take a look at Greyhound's discount of 10% on companion fares. Several restrictions apply (you have to be a group of two or three, you can't use it during peak or holiday seasons, and a few others). Aside from remembering to turn up, the Greyhound experience won't require anything from you. What you can do, though, is pack a few extra things in your bag to make your journey more enjoyable. Let's face it: a multi-hour bus journey is rarely fun, and it almost never is if you're going for an overnighter. Bring a book or Kindle with you to keep yourself entertained, or fill your laptop, phone, or tablet with movies and TV shows to keep you busy. You may also choose to pack a Lonely Planet guidebook for the place you are going to visit. When it comes to guidebooks, a hard copy is so much easier to use than a digital one. If you're all about the road trips, you could bring a pocket-sized road atlas with you. That way, you can see where you're headed or copy it into your journal with notes on what towns looked like (Greyhound passes through some small town Americana). Of course, you could also just rely on Google Maps, providing you'll have data along the way. Long travel days are perfect for catching up on your journaling as you move. There are few distractions on the ride, so as long as you don't suffer from motion sickness, you'll have plenty of time to jot down your thoughts. Amazon has a decent selection of travel-themed journals to choose from. If you're going to be traveling in the evening or taking an overnight bus, buy a small book light for reading on the bus after dark. This will help you to read while other passengers are sleeping, whether you're traveling with a book or an older version of the Kindle (that doesn't have a backlight). Finally, it's a good idea to pack some earplugs and an eye mask for the trip, too. You never know who you might be sharing the bus with, so it's best to be prepared! This article has been edited and updated by Lauren Juliff.